Montgomery County is a national leader in K-12 education. With high levels of participation in Advanced Placement courses, high scores on standardized tests and a high graduation rate, our students consistently outperform their peers nationwide. The Montgomery County Public School System is the largest school system in Maryland and is one of the highest ranked school systems in the nation. Over 100 private K-12 educational institutions provide a variety of options for families in Montgomery County. Learn more about the Montgomery County Public School System. The University of Maryland, Johns Hopkins University, and Washington Adventist University all have campuses in Montgomery County. The program offerings in all campuses are constantly growing. Established ten years ago, The Universities at Shady Grove offers more than 60 undergraduate and graduate degree programs from nine respected institutions within the University System of Maryland at one central location in Montgomery County. USG will be adding more programs in bioscience, engineering, allied health sciences and engineering to meet the critical needs for a highly-educated workforce. 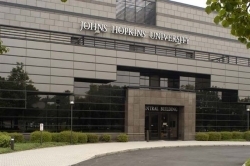 The Johns Hopkins University Montgomery County Campus was established in 1988 in order to create an interactive community of educators, students, researchers, corporations and government representatives where collaborative thinking and scientific discovery advance academic and economic development. Four Johns Hopkins schools offer programs on a part-time basis – Carey Business School, School of Education, Whiting School of Engineering, and Zanvyl Krieger School of Arts & Sciences. Today, Washington Adventist University is the oldest 4-year academic institution in Montgomery County offering programs in three distinct schools: The School of Arts & Social Sciences, The School of Graduate & Professional Studies, and The School of Health Professions, Science & Wellness. Montgomery College is one of the best and largest community colleges in the nation. With three campuses and more than 130 programs of study and innovative partnerships with local businesses, federal agencies and universities, Montgomery College serves the wide-ranging educational and workforce needs of Montgomery County.